At 24 x 36 inches, this is one of the larger pieces I've done. 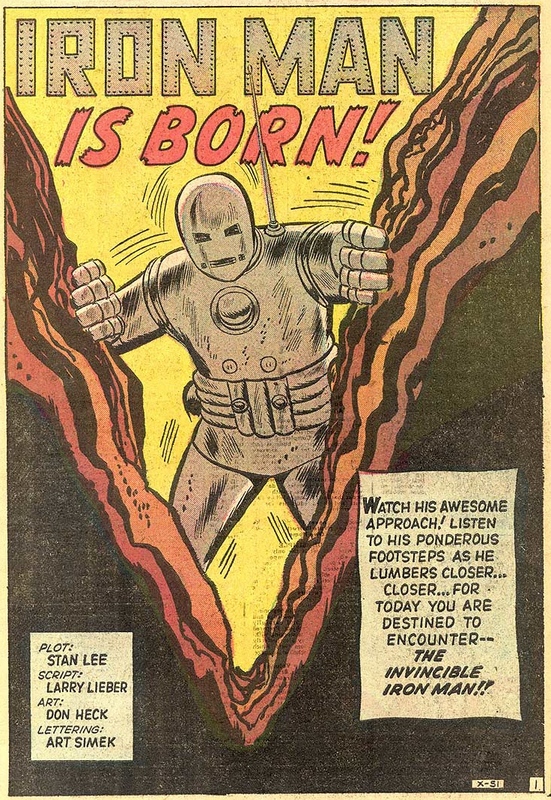 It's based on the famous splash page from the first appearance of Iron Man. I painted it in oil on canvas many years ago while I was still in school, but I've recently put it up for sale at Splash Page Art. And this was a commission from the Philly convention that I neglected to photograph before giving it away. Thankfully, the customer was kind enough to take a picture and send it to me. Thanks! 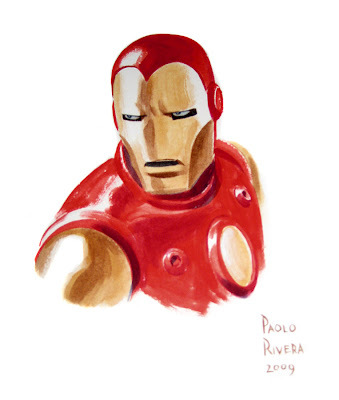 This Iron Man, one of my favorites, ever. I remember you doing this one (in Philly)actually! 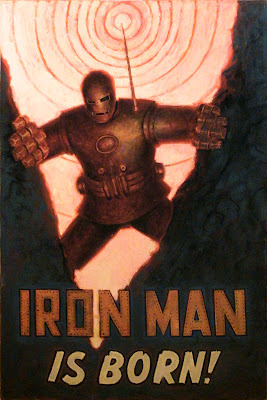 This is my favorite Ironman costume, it's easy to draw! Wonderful work! Wow! Awesome job on this!